Serving Businesses, Professional Building Services, Retail Centers, Educational Facilities, Religious Facilities, and much more. 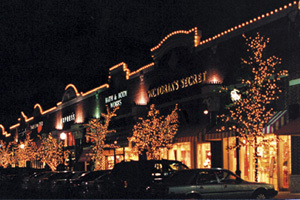 Professional holiday decorating and light hanging services for all types of businesses in Maryland and Washington DC. Interior and exterior holiday decorating services available. 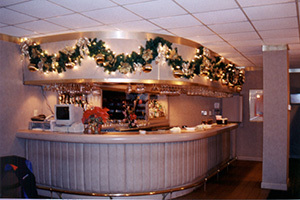 FOCUS ON YOUR BUSINESS --- WHILE WE DO THE DECORATING FOR YOU! 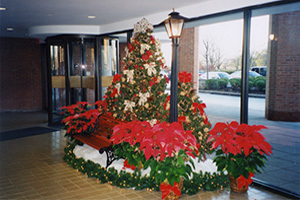 As a Christmas Decor operator, we provide professional holiday decorating and light hanging services for businesses throughout Maryland and the surrounding areas. 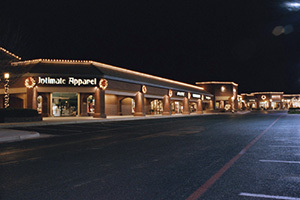 In addition to our wide selection of quality lights, we also carry a variety of wreaths, garland, and custom lighting products to give your business that holiday glow. Our comprehensive commercial services cover everything. 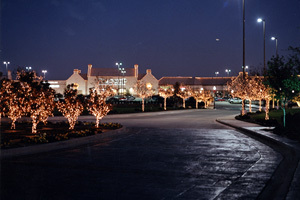 We provide the lights and decorations. 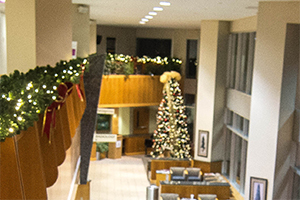 Our professional installation team does all the work getting your business ready for the holidays. Once the decorations are in place, we drop by frequently during the season to check and replace bulbs that may go out due to weather conditions. When the season is over, our professional installation team return to take down all decorations and store them in our warehouse. Please take a moment to view some of the decorating options below, then give us a call. We will arrange to have someone stop by your location to discuss all the creative ways we can make your business look wonderful this season. 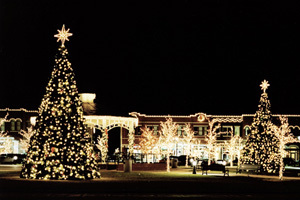 Take some of the holiday stress off yourself and let us take care of all your holiday decorating and lighting. Call early --- Bookings are limited as the holiday season draws closer.